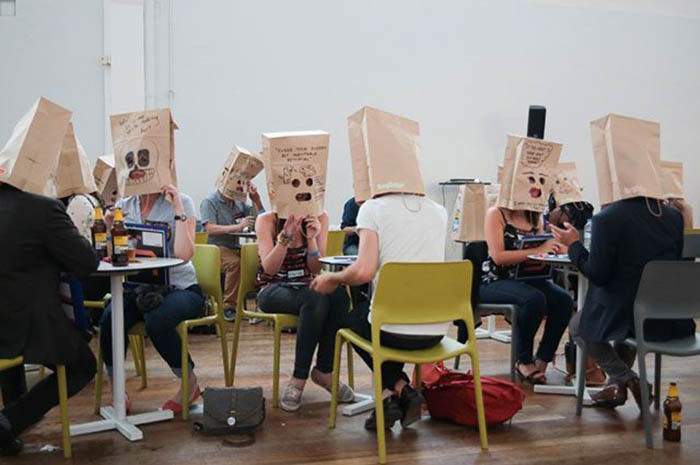 As everything in our reality is accelerating and becoming more and more ridiculous ... have you ever tried speed dating ... with a paper bag on your head? Looks like a fun way to sell something about yourself that you want to attract in a partner. What would your paper bag look like? What would it say? It could teach you something about how you think the world views you. Paper Bag Speed Dating is the brainchild of the people behind a new London-based dating app called LoveFlutter. They organized the event as a part of their #SayNoToShallow campaign. "Could you get a date using just your personality?" they asked, challenging people to attend their paper bag dating event. 30 women and 30 men signed up. They were given a paper bag each and were asked to personalize them using various designs - they could add quirky personal messages to serve as conversation starters. Later, they had to wear the bags on their heads. Some people did beautiful drawings, while others wrote stuff like "I used to be a spy," or "Does my head look big in this?" While most people rely heavily on looks while speed dating, this new trend in London is forcing people to do the exact opposite - choose by personality. 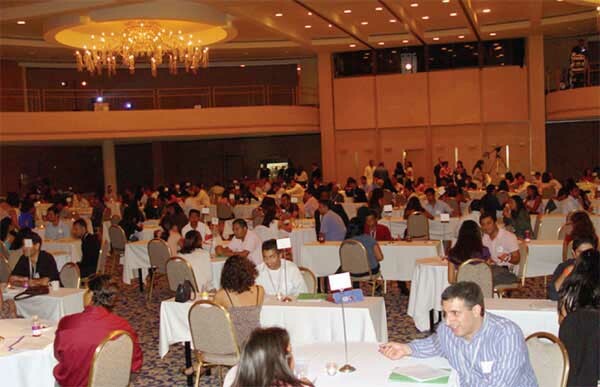 Paper Bag Speed Dating doesn't allow you to see the face of the person you're talking with. It's basically a looks-free hookup party, where participants place a paper bag over their head. You still get to make quick decisions just like with regular speed dating, but the deciding factor is personality, not physical appearance. Sitting with a bag over your head in NYC would probably not seem strange. Many would think it was part of a broadcast or something promotional.